BETONG: Chief Minister Datuk Patinggi Abang Johari Tun Openg today announced that the Sarawak government has initiated a charity fund for SK Batu Bungan fire victims. Speaking at State level Teachers Day celebration at Tan Sri Kalong Ningkan hall here today, Abang Johari said the state government will kick start the charity fund by contributing RM50,000. 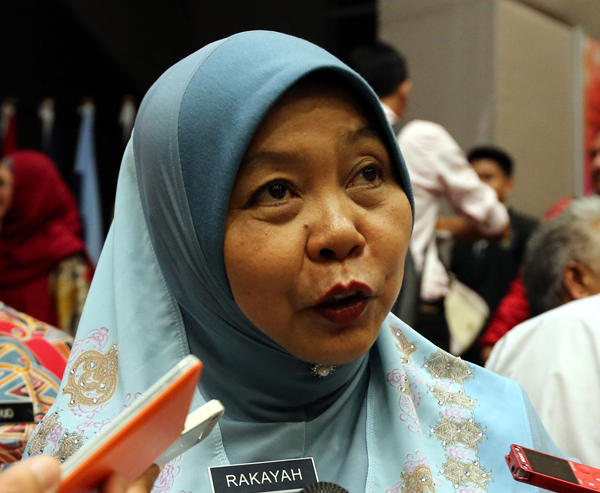 Meanwhile, director of Sarawak Education Department, Rakayah Madon sobbed when delivering her speech and was heard muttering: “I have lost my teacher”. Rakayah was still very emotional and unable to control her voice for a few minutes. The function observed a minute of silence as a mark of respect to the fire victims. The Borneo Post earlier today reported female teacher of a primary school in Baram was burnt to death while two others suffered burns when a fire broke out at their quarters in the wee hours today. The teacher, later identified as 25-year-old Catherine Janet Tiwi, was earlier on reported missing but her charred body was later found in one of the two quarters which was destroyed in the fire. Two other teachers, both female, suffered burns. The deceased was a teacher at SK Penghulu Baya Malang but the incident took place at SK Batu Bungan. They were at SK Batu Bungan for a school camp, which were attended by three primary schools in the area namely, SK Batu Bungan, SK Penghulu Baya Malang and SK Long Panai. Zone 6 Fire and Rescue Station chief, Supt Law Poh Kiong in a statement today said the fire started from the living room of one of the quarters. “The incident was realised by a male staff at 5.09am. “A team of Fire and Rescue (Bomba) from Department of Civil Aviation (DCA) Mulu Airport rushed to the scene at 5.40am,” he said. The team managed to put out the fire at 6.34am.